We understand it’s not easy living with missing teeth. That’s why at Dentistry on Glen Erin we’re proud to offer dental implants in Mississauga to fill those pesky dental voids. A man-made substitute for the root of a natural tooth, a dental implant is the foundation for the reconstruction of your missing tooth. First, we fit a titanium screw into your jawbone – this takes the place of a natural tooth root. 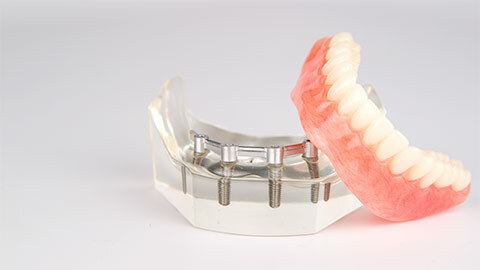 Then we attach a crown to the implant, giving you the look and feel of a natural tooth. It is beneficial to replace the tooth root of a missing tooth as without it the surrounding teeth may shift in order to fill the gap. This can cause problems with chewing and eating and potentially change the shape of your face. That’s why dental implants are important to maintaining your health and comfort. Dr. Kajani and Dr. Jetly are providing implant services to our patients. 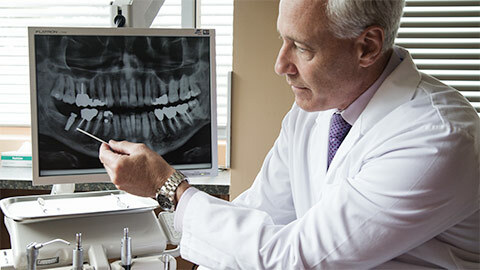 Our doctors also perform dental restorations to keep your dental implants functioning as well as possible. Contact Dentistry on Glen Erin to learn more about our Mississauga dental implant services.